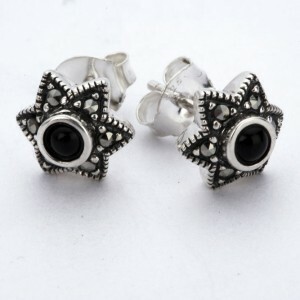 Lovely six pointed star shaped studs in silver set with marcasite and Whitby Jet. 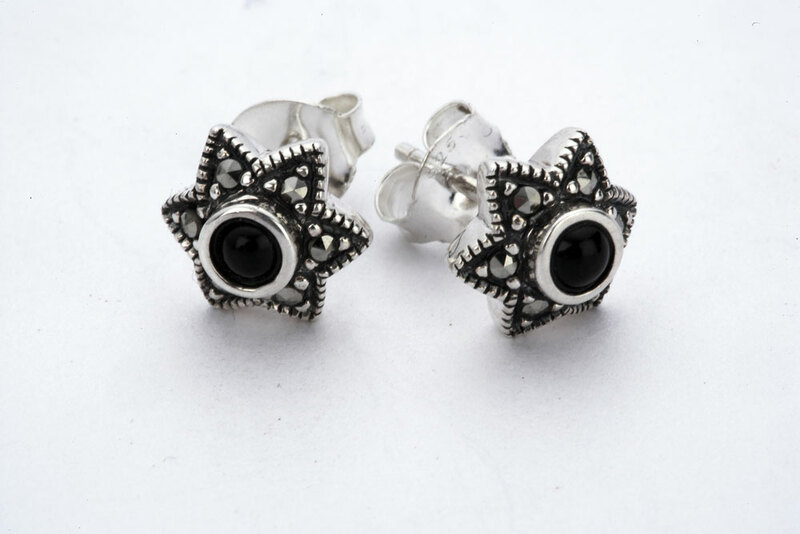 The studs measure 9mm across and are for pierced ears with a post and butterfly fastening. 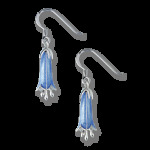 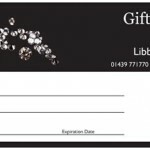 Also available with Derbyshire Blue John as the centre stone.